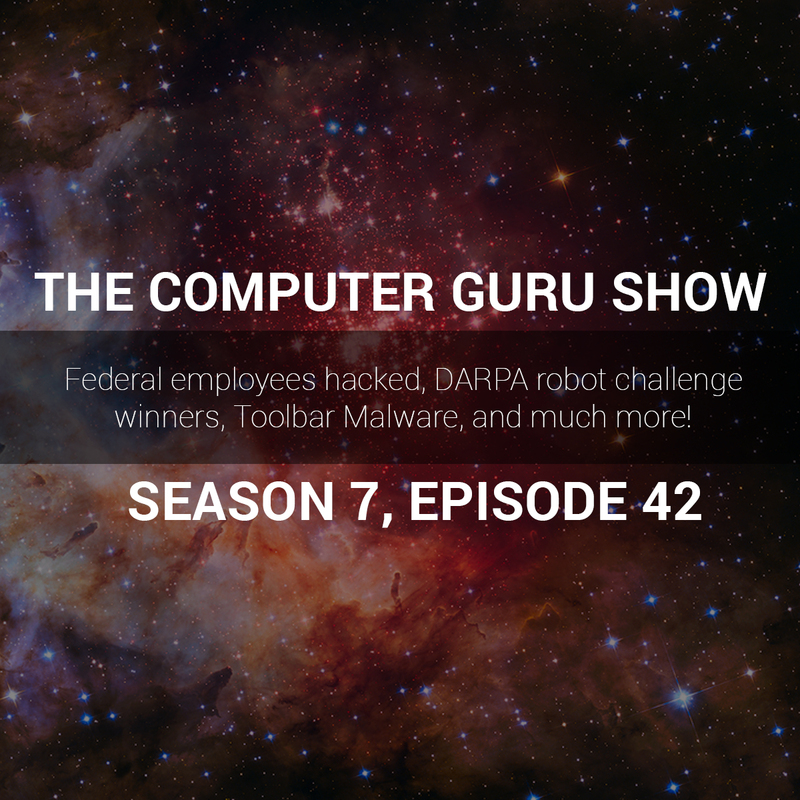 Podcast S7E42 – Federal Employees hacked, DARPA robot challenge winners, Toolbar malware, and much more! Federal Employees hacked, DARPA robot challenge winners, Toolbar malware, and much more! Segment 1 OPM Hacking Investigation continues - All federal employees, past and present, are at risk of their information being stolen. Call - Dave's sister's Windows 7 Dell Laptop won't connect to the interwebs. Wat do? Segment 2 Call - Tom is having printer trouble :( DARPA robotics challenge winners! Also, lots of robot fails: https://www.youtube.com/watch?v=g0TaYhjpOfo Segment 3 ASK Toolbar is now considered Malware USB C is Thunderbolt for PCs, and it's awesome Call - Tim is running Windows 7 but lots of his programs are running on virtual XP. Stop that, Tim. Segment 4 Call - Terry is having problems after visiting some sketchy websites. Sounds like ransomware. Call - John has a laptop that he thinks took some spill damage. Can it be fixed?